Be Jolly – Don’t you get the cosmic joke? Last night I was watching the 2006 Hindi hit film Fanaa (directed by Kunal Kohli, starring Aamir Khan and Kajol) yet another time on TV. I particularly like the character Jolly Singh, played by the late satirist-and-comedian, Jaspal Bhatti. Bhatti plays a guard at the Rashtrapati Bhavan in New Delhi and has the queer name of Jolly Singh in the movie! He explains that he was perhaps named so because his grandfather had the habit of saying ‘Jolly Good’ for everything that happened! And so, confesses Jolly Singh in the movie, that’s the secret of his being cheerful all the time! Actually, all of us have that ability to be ‘Jolly Singhs’ inbuilt in us. But that part of us is suppressed because of layers of everyday stress that keeps piling on. The worries and tensions of everyday living leave us battered and bruised. We barely manage to see off a day’s challenges and the next day arrives with its truckload of fresh issues, conflicts and problems. And so it goes. Our days and weeks and months and years are all spent in battling Life than living it freely. Somewhere along the way all of us have become adept problem-fixers, not necessarily solvers, and have conveniently forgotten the meaning of being our own selves, of being happy and jolly! The biggest reason we are like this is because we choose to attend to our worries than our opportunities. Something’s not right. And we have rushed to worry about it, fix it. The truth is even if you get a heart attack, you can’t treat it yourself. You need a doctor to attend to you. So, instead of getting worried, can you not be jolly? Maybe a good laugh can revive you, as laughter is always good for the heart! Let’s take inspiration from Jolly Singh! And just be jolly good about anything that happens in Life! If you are not convinced, let’s look to Osho, the Master, for some perspective. He championed that this Life is the biggest cosmic joke! He said there are three types of laughter __ or three ways in which you can be jolly! One way is when you laugh at others. That, he said, and you will agree, is being very mean. Avoidable! The other way is to laugh at yourself. That is a more evolved response but still very connected with the material, worldly self! But it better than the first kind and prepares you for the third kind! The third way is to laugh at Life itself. This is when you are neither laughing at others nor at yourself, but, objectively, are laughing at the situation! You are laughing at Life! 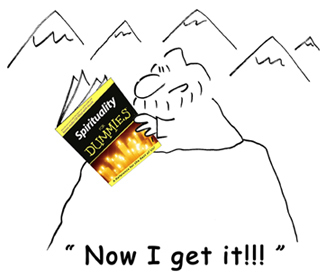 Osho said being truly jolly meant getting this cosmic joke! Just the way Jolly Singh’s grandfather, and Jolly Singh himself perhaps, got it! This lifetime is really one, big laugh. We come with nothing. And will depart with nothing. We are not even aware we will be able to retain all that we experience in this lifetime in our subconscious and reproduce it in our evolutionary journey going forward. Yet, despite having to go away without owning anything, all our strife, our daily battles, are about stuff we will not be able to take away with us. Do you realize that? Do you get the joke! If you eventually do get the joke, laugh! And ask yourself, how wonderful would it be if we could all be ‘Jolly Good Fellows’ all the time! And be infected at least in part with Jolly Singh’s energy or Bhatti’s enthusiasm and humor or with Osho’s wisdom!! Author AVIS ViswanathanPosted on May 26, 2013 March 14, 2016 Categories Aamir Khan, Fanaa, http://schemas.google.com/blogger/2008/kind#post, Inner Peace, Intelligent Living, Jaspal Bhatti, Jolly Good, Jolly Singh, Kajol, Kunal Kohli, New Delhi, Osho, Rashtrapathi Bhavan1 Comment on Be Jolly – Don’t you get the cosmic joke?